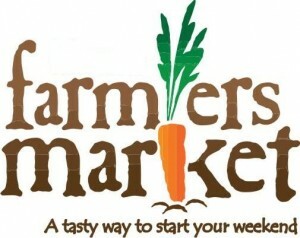 It’s here… sweet corn at the market this Saturday. We also have home grown tomatoes… a few heirlooms, red and yellow. Beets, cucumbers, kale, Swiss chard, zucchini – green & golden, cabbage, yellow squash, green peppers, kohlrabi, green beans, egg plant and new potatoes. Kenny will be bringing plenty more candy onions and a few elephant garlic. Peaches are just about perfect, be sure and get your orders in early. Cantaloupes are ripe and tasty, we should have a few more this weekend. Blackberries are turning color we may have a few. We will have more of our homemade jams and jellies along with Kenny’s Grilling Planks and Blackening Spice. I will also have a few herb pots and fairy wands available. 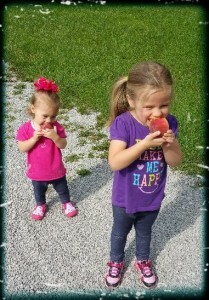 a couple of our satisfied customers… what cuties!